I am descended from the dairy-men of Wisconsin, perhaps the most stubborn people in all the world. My father remembered getting electricity in the barn for the first time; in the mid-sixties. They only used one lightbulb because there was a fear that too much light would spook the cows. Years later, my father got eye surgery on only one eye, because he wanted to try it out for a year before he committed to this new-fangled Lasik thing and risked his good eye. I must have inherited some level of that stubbornness because I did not immediately jump on the QR code bandwagon. It seems far too gimmicky, something put together to promote movies and sell coupons for laundry detergent. Certainly not something I could see being used I my classroom. But my mind changed a little when I came across an issue last week where I wanted to easily link to a bunch of files on my Dropbox account. Dropbox added a great feature a few weeks ago that lets you share any file you have just by right-clicking it and selecting ‘get link.’ This is great for me, because now when I want to send videos or whole files to a group of people, I don’t have to muck around finding a website to host them all or even worry about if my audience has Dropbox. The only problem is that the link to the file is really long, so long that I would have to email it or link it on my blog, not something that I could easily put on a business card or a worksheet. So then I turned to a great URL-shortening service called Goo.gl. It takes a long web address and makes it into a much, much shorter one. It also, for some reason, gives you a QR code. Copy and paste that code into a business card, put it into a PowerPoint, or attach it to a flyer, and you have instant file distribution. This comes in handy if you have a classroom full of iPads or other tablets in a BYOT (bring your own tech) environment. Want students to download today’s homework, or view a video? Using a shortened URL or a QR code can help make that easier. First it was my beloved Google Cow, a joke feature of Google Body that nonetheless was the BEST THING EVER. Then it was their new policy of demanding that everyone with a Google account also have a Google+ and Gmail account. The hope from a corporate standpoint is that they can muscle out Facebook in the social networking field if they force people to join their little club. Which leaves teachers like me in a little bit of a predicament. Things no longer work unless you have a Google account, and you can’t have a Google account without the email and the Google+ profile, something that I can’t and won’t force on my students. Which is why I found a workaround. This hits home with one of my favorite services: Picnik. Picnik is a great little site that lets you edit your photos and add all kinds of nifty effects. It is particularly great because it does not require you to understand all the filter-y layer-y photoshop mumbo-jumbo. It just gets right to the good stuff. Google bought Picnik, and this April will lock it away in the fortress of solitude that is Google+ to live a new life as an integrated photo editor for the social network, far, far away from my poor students, who yearn for the day when they will again be able to paste mustaches on their friends and paste UFOs over our school. The only silver lining? Until April, all of Picnik’s features, even its premium ones, are free. So get it while you can people. You lost my business, Google. From now on I will have to use FotoFlexer, Aviary or any number of other alternatives. For a long time I have been in love with the lowly netbook, an under-powered computer that does internet, word-processing, and little else. I’ve mentioned that, while weak in terms of performance, they allow students to get easy access to much-needed services at a low cost. Tablets have taken a lot of the steam out of netbooks lately, but the need for low-cost computing is still very real in education. Soon there will be a new contender—what I will call a Netstick. Google has long stated that phones at tablets were only the beginning for its lightweight Android OS, and they were right. FXI Technologies will soon release their “Cotton Candy” (who thinks up these names?!) device, a small USB stick with a SD cardslot and HDMI connector on the other end. This stick is essentially a miniature computer running Gingerbread (again with the names!) Android OS. It will never win any awards for speed, but will run Android Apps, WiFi, and Bluetooth. The cost? Around $200. Imagine your students carrying around a whole computer system on a keychain. Plugging it into a projector when they want to demonstrate something, into a desktop when they want to work, or into their TV when at home. A whole computer on a keychain? I can’t wait to try one of these out. 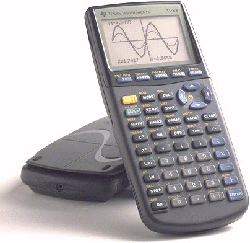 The workhorse of good upper math courses (the kind that I never got to take since I went into physics and not calculus) is the graphing calculator, the blocky grey machine that can solve any problem, graph any equation, and can be programmed to play Tetris. I always wondered why, in the age of smartphones and computers, the Ti-83 had never really changed. But now even the good people of Texas Instruments have been cloud-sourced. For a long time now, if you entered a math problem into Google’s search bar, you get the answer via a calculator. Go ahead, Google 2 + 2, or even ask for a conversion like 5 gallons to liters; you will get an answer. Now Google has expanded that to functions. 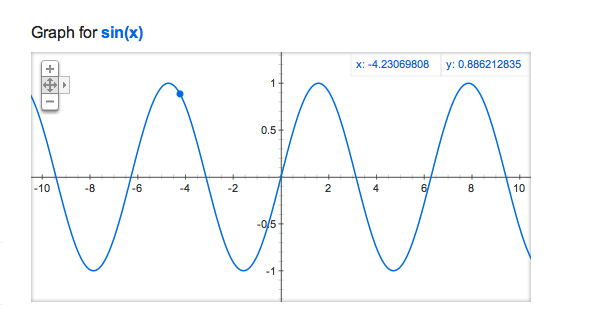 Try entering sin(x) into Google (or just click here). You end up getting a pretty little graph. Will this replace the Ti? It’s hard to say. Will it work in pinch if you are without one? Probably. Math teachers (of which I am not one), test this out for me and tell me how this works! Thanksgiving looms on the horizon and my students are nuts about deer again. The hunt for their antlered quarry is on and my students are old enough now to take part. Each of them seems to have a story this year, from my student who missed a prize buck when nature called to one young girl pumped up about her new bright-pink 20-gauge shotgun. Having worked the search-trivia game agoogleaday.com into my class’s routine, I decided that as a special activity prior to Thanksgiving break, I would tear them away from their obsession with this year’s deer hunting season. 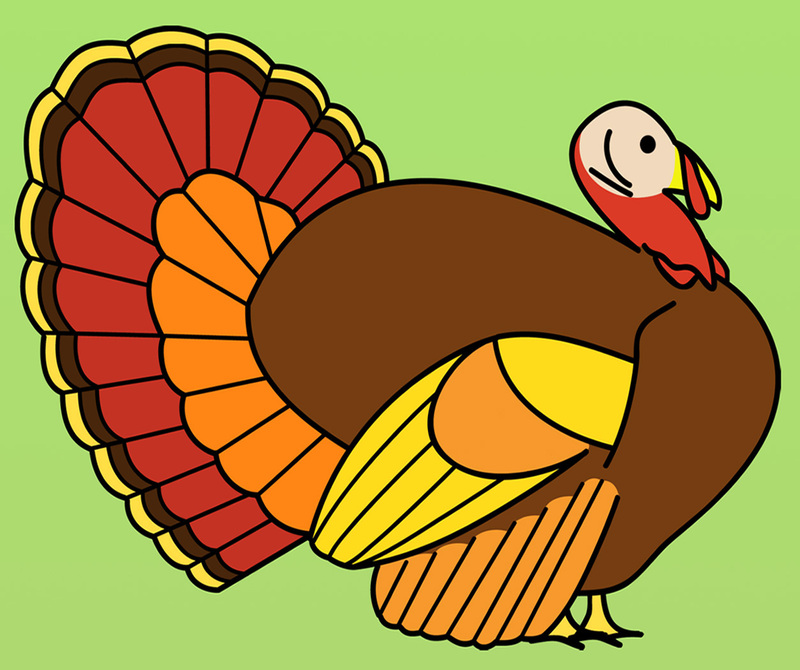 I brainstormed every trivia question I could think of regarding Thanksgiving and sent my kids on a search for quality answers. Attached is the worksheet and a somewhat complete answer key. If you have any you would like added please include them in a comment below! Happy Turkey Day! My students have issues searching for information. They use search engines like Google in ways that seem strange to me. They type things like, “What year was Abraham Lincoln born in?” into the search bar and expect to get a good answer. Those of us from the pre-Google era know how an index works and know what a ‘keyword’ is. The students only know what an index is because sometime in thirrd grade they were taught, abstractly, what an index is. They have never had to use an index very much because they have had Google their whole lives. But then again, they can’t use Google very well because they don’t understand how an index works. It’s very catch-22, this problem. Thankfully, I came across two resources from Google that helped my students understand all the wonderful things that a search engine can do if you ask the right questions. The first is a set of lessons created by other teachers for Google. Presentations and several videos explain exactly what Google is and what it isn’t. The lessons also run through how to ask a good question and how to use the keywords to your advantage. The lessons on some of Google’s less well-known search options, such as its ability to translate text and speech, convert currency, find movie times and the nearest pizza, are also a lot of fun. The second tool puts these search skills to the test in the form of a game that will soon be part of every technology lesson I give. Called ‘A Google a Day,’ it is a timed daily search quiz where kids use Google to answer trivia questions. It’s a lot of fun. It walks you through how to answer the question using the ‘hints’ feature. By using this, my students should become pros at searching in no time. I run across a problem all the time when my students need to find information. They jump right to Google and pick the first thing that comes up. This tends to be Wikipedia, which generally gives good information, but when it comes to writing reports, it collects sources—many of them questionable—rather than provides them. So it does not make for good research papers. But like so many things. Google is the cause and the answer to many of my problems. Google Scholar (scholar.google.com) is a search engine that searches only scholarly information on the net—papers written by people and not an anonymous army of contributors. Give it a look sometime; there’s lots of good stuff to be found, written by real people. And when it comes to the internet, when can you say that?